When you report a bug, the first thing we need to do to solve the problem is to replicate the issue. In some cases, it is impossible to replicate the problem that you’re having because each site is different. The difference can be in the installed theme, web hosting environment or combination of plugins you use, and any variable may be the cause of the issue and make it specific to your site. In order to fix the bug, we must know what’s causing it, and this is why we ask for your WordPress admin access. The solution is to create an account with full rights that will allow us to see all your plugins and to enable/disable them, inspect and test our plugin etc. 1. 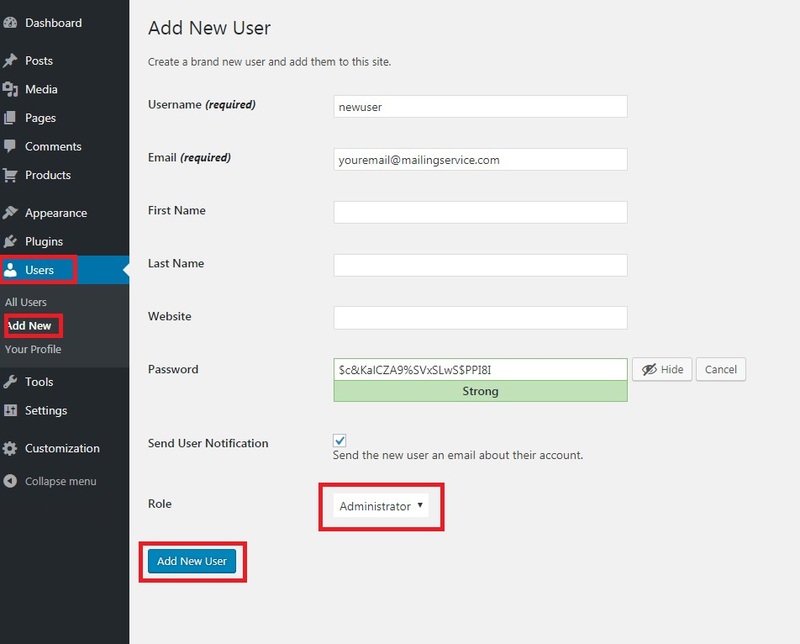 Log in to your WordPress site and click to expand the Users menu. 2. Click the Add New link located in the Users menu. 3. Enter the username, email address and password for the user. First name and last name are optional. 4. Select the subscriber role for the user. We recommend choosing Administrator as it provides access to settings, themes, plugins, and import. Once you have created the user you can send the username and password to us so that we could find the issue and help you. Afterward, you can delete the user.